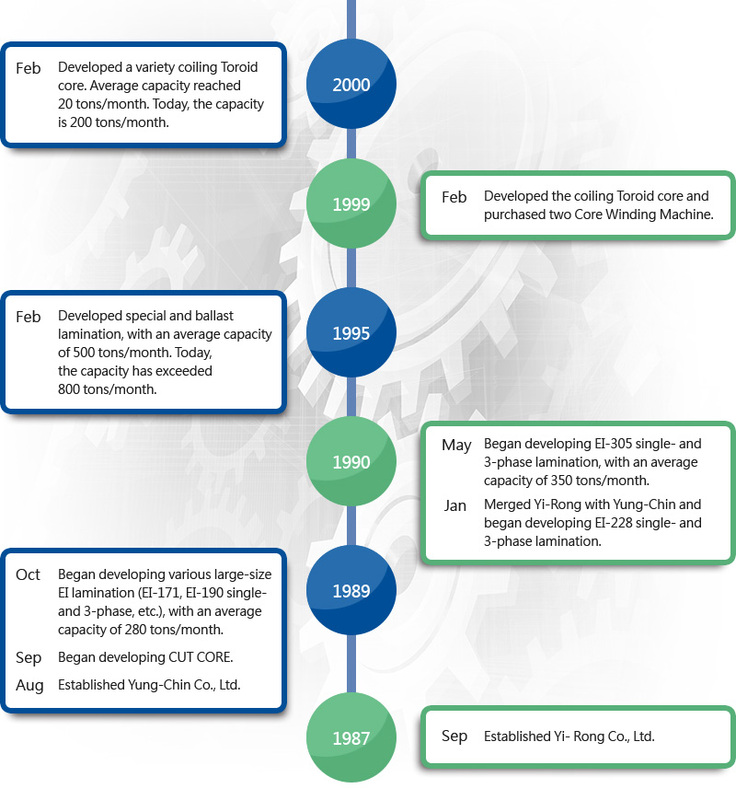 ﻿ About US∣Yung-Chin Silicon Steel Co., Ltd.
We began developing and producing electrical steel of EI lamination used for transformer in1973, and it has been nearly 30 years. 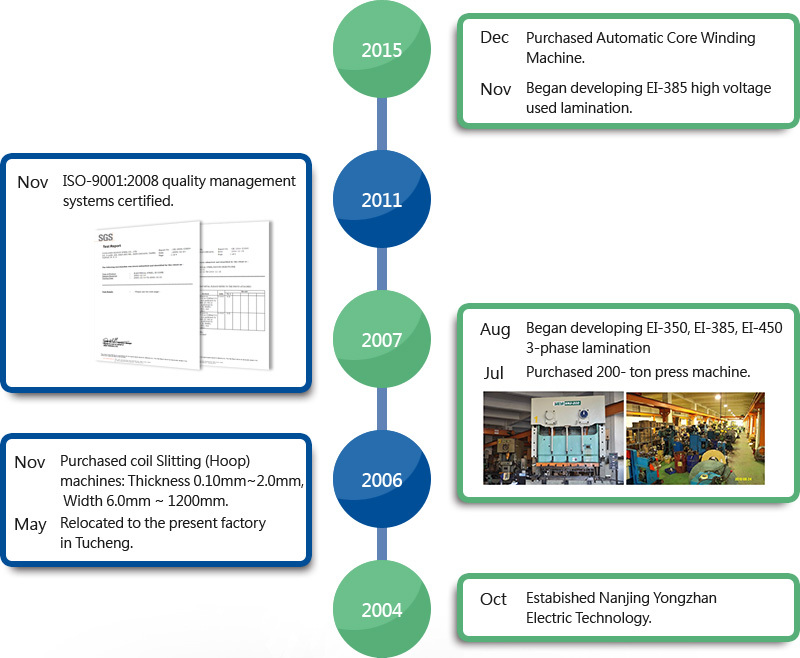 We have mastered the manufacturing and design technologies of EI lamination for our long-term devotion to process and quality management. Today, our product ranges cover all kinds of EI lamination , and our product quality has won credits and trust from various customers.